YOUR ACCESS AND USE OF THE XPLORA SERVICE IS SUBJECT TO (1) THESE TERMS OF SERVICE, (2) YOUR AGREEMENTS WITH THIRD PARTIES, SUCH AS YOUR WIRELESS MOBILE OPERATOR, APP STORE/PLATFORM OR DEVICE PROVIDER AND (3) ALL APPLICABLE LAWS, RULES AND REGULATIONS. YOU MUST BE AT LEAST 18 YEARS OF AGE, THE AGE OF MAJORITY IN YOUR PLACE OF RESIDENCE TO USE THE XPLORA SERVICE. BY ACCESSING OR USING ANY PART OF THE XPLORA SERVICE, YOU ACKNOWLEDGE THAT YOU ACCEPT THESE TERMS OF SERVICE. IF YOU DO NOT AGREE WITH ALL OF THESE TERMS, YOU MAY NOT USE ANY PORTION OF THE XPLORA SERVICE. Overview: Mobile application (the “XPLORA App”) and the mobile device (the “XPLORA Watch”, collectively the “XPLORA Service”) are provided by PepCall AS / XPLORA Technologies Ltd. in partnership with INFOMARK Co.,Ltd. (collectively the “COMPANY”). The XPLORA Watch can be configured, monitored and contacted through the XPLORA App. Location Device / Emergency: The XPLORA Service is intended for use as a communication and location tracking device. However, the XPLORA Service is not a failsafe security system. Therefore, proper safety precautions should always be used with children, despite the use of the XPLORA Service. Who is our customer: Our customer is the individual who has registered the XPLORA Watch. We are under no obligation to respond to requests, inquires, demands or communications from any party (such as another family member) other than our customer. 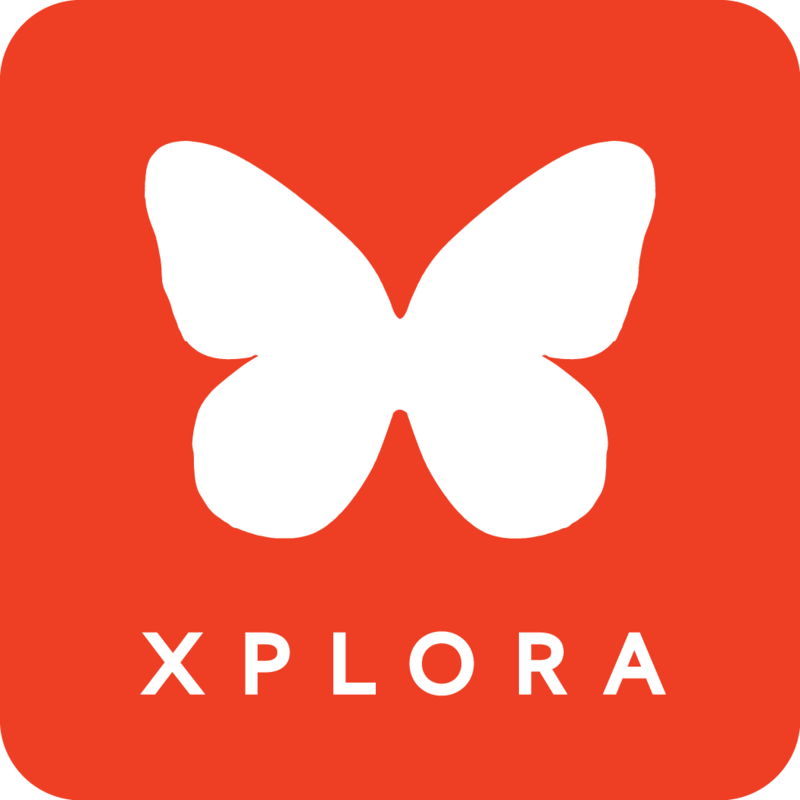 XPLORA App License: In order to use the XPLORA Service, you will need to download and install the XPLORA App. COMPANY hereby grant you a non-exclusive, non-transferable, revocable, limited license to use the XPLORA App solely on devices that you own or manage. You represent and warrant to us that you have the right to install and operate the XPLORA App on such devices you are using. Registration and Passwords: In order to use the XPLORA Service, you must register and install the XPLORA App. All information about you must be truthful, and you may not use any aliases or other means to mask your true identity. All personal information must belong to you and not any other person. You are responsible for the security of your password and will be solely liable for any use or unauthorized use under your user name. If you suspect any unauthorized use of your user name, you should change your password and/or contact COMPANY immediately. Please note that if you wish to delete your customer account, it will not be sufficient to uninstall the Xplora App. Request for deletion must be addressed to our customer service. Proprietary Rights: We are the exclusive owner or authorized licensors of the XPLORA Service, including all copy, software, graphics, designs and all copyrights, trademarks and other intellectual property or proprietary rights contained therein. Without limiting the foregoing, you acknowledge that the XPLORA Service is the exclusive property of COMPANY, and that you will not take any act inconsistent with our ownership rights or that would damage our ownership rights. No part of the XPLORA Service may be reverse engineered, decompiled or modified, nor may derivative works be created based on the XPLORA Service, without the prior written consent of COMPANY. All rights not granted under these Terms of Service are reserved by COMPANY. Disclaimer of Warranties: ALL PARTS OF THE XPLORA SERVICE ARE PROVIDED “AS IS” AND WE MAKE NO REPRESENTATIONS OR WARRANTIES OF ANY KIND WHATSOEVER AND WE DISCLAIM ANY EXPRESS OR IMPLIED WARRANTIES, INCLUDING, WITHOUT LIMITATION, NON-INFRINGEMENT, TITLE, MERCHANTABILITY OR FITNESS FOR A PARTICULAR PURPOSE. WE DO NOT WARRANT THAT THE FUNCTIONS CONTAINED IN THE XPLORA SERVICE OR ANY MATERIALS OR CONTENT CONTAINED THEREIN WILL BE COMPLETELY SECURE, UNINTERRUPTED OR ERROR FREE, THAT DEFECTS WILL BE CORRECTED, OR THAT THE SERVER THAT MAKES IT AVAILABLE IS FREE OF VIRUSES OR OTHER HARMFUL COMPONENTS. WE SHALL NOT BE LIABLE FOR THE USE OF THE XPLORA SERVICE, INCLUDING, WITHOUT LIMITATION, THE CONTENT AND ANY ERRORS CONTAINED THEREIN PROVIDED BY THIRD PARTIES. COMPANY DISCLAIMS ALL LIABILITY FOR, OR WARRANTIES FROM, THIRD PARTY SERVICES OR PRODUCTS USED IN CONNECTION WITH THE XPLORA SERVICE, SUCH AS APP STORE/PLATFORM PROVIDER OR DEVICE MANUFACTURER. IN NO EVENT WILL WE BE LIABLE UNDER ANY THEORY OF TORT, CONTRACT, STRICT LIABILITY OR OTHER LEGAL OR EQUITABLE THEORY FOR ANY DIRECT, INDIRECT, SPECIAL, INCIDENTAL, OR OTHER CONSEQUENTIAL DAMAGES, LOST PROFITS, LOST DATA, LOST OPPORTUNITIES, COSTS OF COVER, EXEMPLARY, PUNITIVE, PERSONAL INJURY/DEATH, EACH OF WHICH IS HEREBY EXCLUDED BY AGREEMENT OF THE PARTIES REGARDLESS OF WHETHER OR NOT WE HAVE BEEN ADVISED OF THE POSSIBILITY OF SUCH DAMAGES. Some jurisdictions prohibit the limitation of warranties as set forth herein. If any part of these warranty disclaimers or limitations of liability is found to be invalid or unenforceable for any reason or if we are otherwise found to be liable to you in any manner, then our aggregate liability for all claims under such circumstances for all liabilities, shall not exceed the greater of (1) the amount paid by you to purchase the XPLORA Watch from XPLORA web shop or an authorized reseller or (2) one hundred Euro (€100). In any event all disclaimers and limitations shall apply to the extent accepted by the relevant jurisdiction. User Ratings: COMPANY reserves the right to use / not use and publish / not publish any comments and or ratings you give eon our webpages, Facebook, Instagram, Twitter or other media. Contact Information: We will respond to any questions regarding the services and these terms. For Nordic users (Norway, Sweden, Denmark, Finland and Iceland) PepCall AS, org. no. 814 499 022, can be reached at kundeservice@pepcall.no or kundeservice@xplora.no or kundservice@xplora.se. For users in the other European countries, XPLORA Technologies Ltd. Reg no: 10864147 can be reached on support@myxplora.co.uk. The XPLORA Watch can, together with the accompanying app and mobile telephone services subscription, collect and transmit data to PepCall AS / XPLORA Technologies Ltd, such as location data. Such detailed data collection and use is critical to the successful operation of the XPLORA Watch. Data collection, storage and use of data will be managed with strict privacy and security measures. XPLORA App and Platform collect personal information when a user (hereinafter "you" or "Member") registers with XPLORA. "Personal information" is information which identifies or can identify you or your child, such as your name, address, location data, or other data which can be reasonably linked to such information. We very much appreciate the importance of your personal information complying with all egulation and Telecommunications act, including but not limited to national Data Protection regulation as well as EU GDPR. We do our best to protect your personal information by implementing reasonable security standards and hereby inform you of the purposes and methods by which we may use your personal information of and of the actions taken to protect your privacy. For Nordic users (Norway, Sweden, Denmark, Finland and Iceland) PepCall AS, org. no. 814 499 022, is the Data Controller. PepCall AS can be reached at kundeservice@pepcall.no or kundeservice@xplora.no or kundservice@xplora.se. For users in the other European countries, XPLORA Technologies Ltd. Reg no: 10864147 is the Data Controller. , Xplora Technologies Ltd can be reached on support@myxplora.co.uk. You are entitled to contact one of these Data Controllers for questions related to your rights of access, rectification and deletion according to GDPR and national personal data legislation. Infomark Co Ltd, and Amazon Web Services are Data Processors pursuant to data processing agreements between us and these entities. All your data and personal information collected from you is subject to be processed and stored in Amazon Web Services hosted in Dublin (Ireland) and Frankfurt (Germany) on our behalf and we sometimes handle transfers from your home country to these services in Dublin (Ireland) and Frankfurt (Germany). The legal basis for the processing of this data is for the performance of the contract of the provision of our services, entered into between you and us. In addition we may process personal data if applicable law, regulation, legal process or enforceable governmental request, obliges us to do so, or if GDPR art 6 (1) (f) is applicable, namely in cases where we have legitimate interests that are not overridden by data protection interests. We may also collect following personal information in case that you use additional services or personalized services or if you participate in various events we host. We do not use your personal information for direct marketing purposes, unless a freely given, specific, informed and unambiguous consent has been obtained from you. For the avoidance of doubt, we will not share your personal information with third parties for marketing purposes unless you give us your consent through an opt-in. However, we may disclose or use your personal information without your consent if there are any applicable law, regulation, legal process or enforceable governmental request that obliges us to do so. We may also transfer personal data to third parties if GDPR art 6 (1) (f) is applicable, namely in cases where we have legitimate interests that are not overridden by data protection interests. We may therefore pass information about the location of your Device to emergency services. Furthermore, we may provide location information or any other usage data in a non-personal, aggregate format for statistical and research purposes to third parties. Such data is not considered as personal data. In general, we store personal data as long as legitimate interests and/or applicable legislation, justify storage. We automatically delete your location history data after 72 hours. If you decide to deactivate your account by sending us an email, we keep your data for 45 days from the date of deactivation request. This is called the deactivation period and during this process your data is not accessible. Within the deactivation period you have the option to reactivate your account, unless there is a separate agreement between you and PepCall AS or XPLORA Technologies Ltd. to begin the process of deleting your data immediately after the deactivation period have started. After the deactivation period, we will start the process of deleting your account. Deletion from our systems and backups may take up to a week. Non-material changes will be notified through these websites only. These terms were last updated: November 2017. You will be notified if the Terms of Service in case of material changes to these Terms of Service.